It was in even worse shape than we thought. 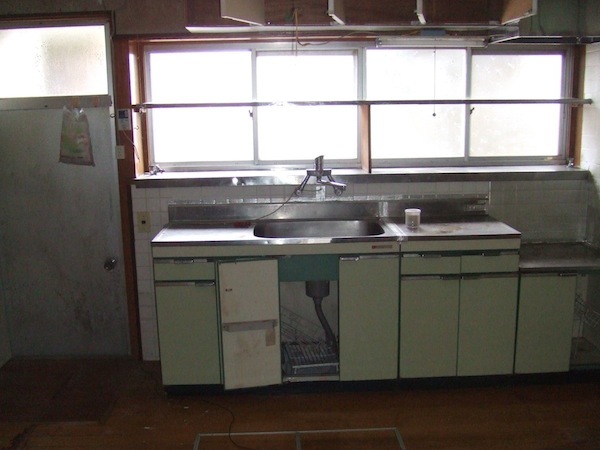 The agent told us the owners had only left less than six months ago, but it was difficult to believe anyone could live in such a decrepit building: moldy tatami, peeling laminate floors and paneling, buckled cabinets in the kitchen. The second floor add-on consisted of two rooms that smelled as if someone had died in them. Any renovations would cost upwards of ten million, though the place really needed to be torn down. That would cost about a million, and then a new house would run another 15 probably. The location was good, but that was too much work. We then drove up to the next property, which was in a besso area in the mountains east of the city. Though it wasn’t far as the crow flies, it was located along a steep road. 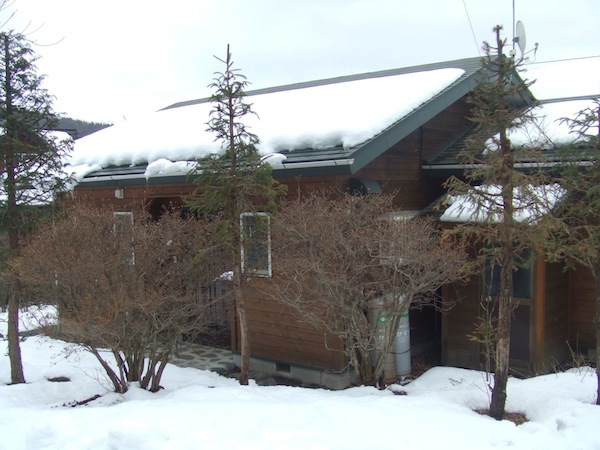 Snow was still abundantly on the ground up there, and the agent had trouble finding the entrance to the development, whose houses were scattered along private roads, meaning they hadn’t been plowed. The Aqua he had rented performed admirably albeit slowly as we climbed the hill past vaction houses closed up for the winter. We felt bad about asking him to take us here. If we’d known it was so remote and that snow was still thick on the ground we wouldn’t have. He had to park in the middle of the street, which was no problem since there was no one else using it. Then we had to plod to the house, which was perched on a rise. It was a typical vacation home: compact, simple. 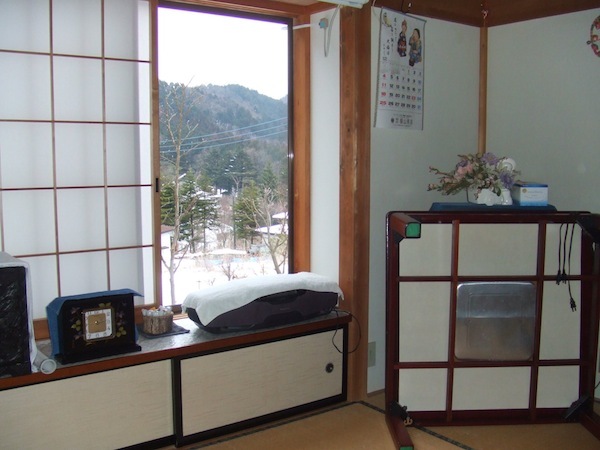 It wasn’t quite as bright as we had expected, and though the walls and floors were wood, the bedroom was tatami, and the winter dampness seemed to have made the mats slightly moldy. It also had a curious attic-loft with the most dangerous ladder contraption we’d ever seen. 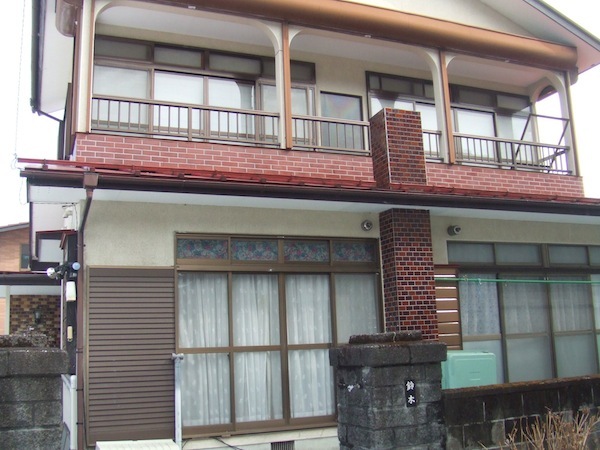 The agent said the owners were an older couple who lived in Tokyo and found it troublesome to come up here any more. It was trouble for us just to try to get into the loft, so I imagine they never even used it, unless they had grandchildren. In any case, it was quite impractical, even as a second house. The agent drove us back to town and we had to kill time until our appointment with a different agent to see two more properties. 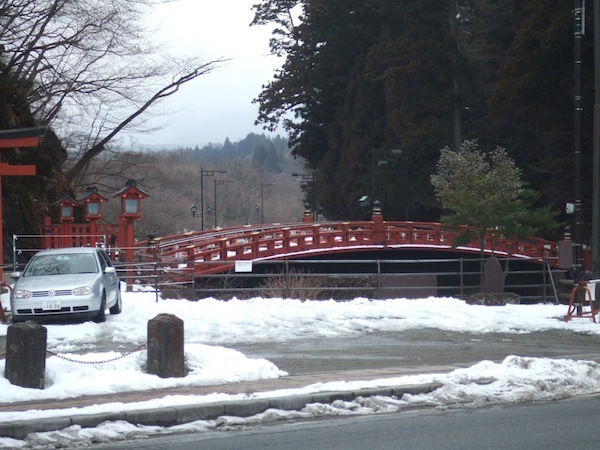 We walked around the residential part of town, and then the tourist part and whatever image we had formed of Nikko from past visits dissolved as we got a closer look. Of course, most tourist towns in Japan are mostly cheap veneer, though we had thought Nikko was different. It wasn’t. Most of the older houses in town that weren’t on the main drag had not been kept up by their owners. The only halfway decent properties we saw were relatively new prefab houses that would probably look terrible in ten years’ time. The only thing you could say about central Nikko is that anywhere you were you had a breathtaking view of the surrounding mountains. Unfortunately, you also had a view of your neighbors. The second agent was a local guy who worked out of a shack near the river. He also happened to the head of the local organization that administers fishing licenses and we had to wait for a meeting of the officers to finish. Unlike the previous agent, he lived here year-round, and drove a big Range Rover that had no problem with snow. Again, we went up the hill to see the two remaining properties, both of which were fairly new and priced within our range. 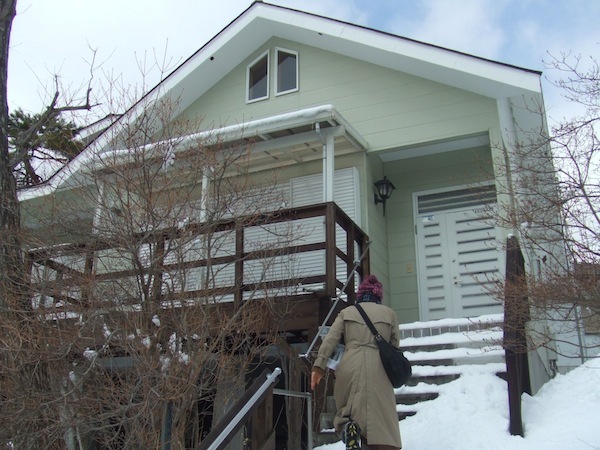 The first one was an all-wood, one-story house in a development managed by Tobu, which means you have to pay Tobu a yearly fee (¥18,000 for land only; ¥55,000 for land and house). The house was well-laid out but even though is was only about ten years old the interior was already in disrepair. Winters, it turns out, are as harsh up here as anywhere, and the laminate floors needed care and the kitchen refurbishing. Again, though there were lots of windows the place felt dark and dismal. 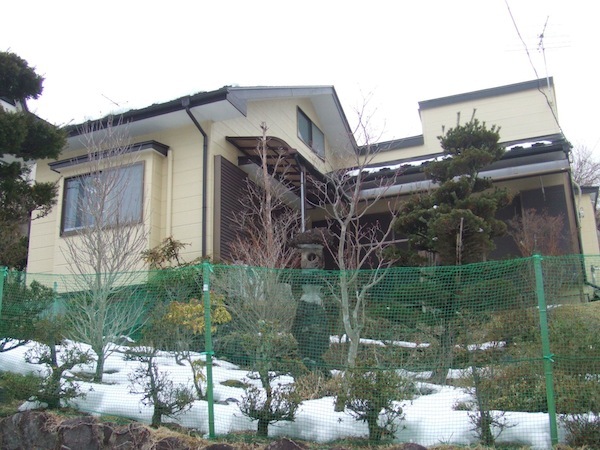 These owners were also older, lived in Tokyo, and had grown to find the trip up a burden. It was some kind of pattern. Or a sign. The second house was down the hill a ways and a bit larger. It was two floors, but the second floor was just for storage. Based on the floor plan we saw on the Internet, this was the property we were most interested in. Configured in an L-shape, the building wrapped around a small garden with a view down the hill. Unfortunately, the interior was in even worse disrepair than the previous house. We stayed hardly five minutes, and the agent, though courteous, knew right from the start we weren’t interested at all. When we returned to his shack we asked, out of habit, if he wanted us to fill out a questionnaire, which is the usual procedure after house inspections so that the agent can do follow-up. He looked at us and shrugged. Why bother? Why indeed. That kitchen! It’s exactly like the one in the apartment where I spent the summer in 1979! There must be millions of them. I never understood why you are against buildings facing south? Can you please explain more?